Even though the US only make up 5% of the global population, 25% of the global prison population are American inmates. Those numbers clearly demonstrate that the country’s incarceration rate is disproportionately high compared to the size of the population. The main reason for this is often claimed to be that roughly 2/3 of all prisoners released will go back to prison within three years making a re-design of the prison system in the US indispensable. In the past decade, new programs have shown that cultivating essential human values can change the culture of prison. Kalliopeia Foundation supports this emerging field, and created ‘Beyond Prison’ to bring awareness to innovative approaches to rehabilitation and offer a new vision of what prison could be. 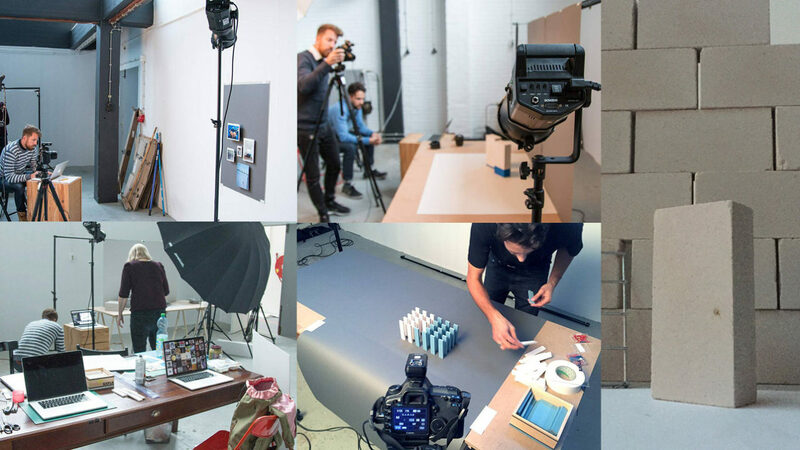 The website features seven multimedia stories that highlight proven, vibrant program models working to bring about deep-seated change in the lives of incarcerated men and women. The immersive site provides an experience of what’s possible in transformative prison reform. 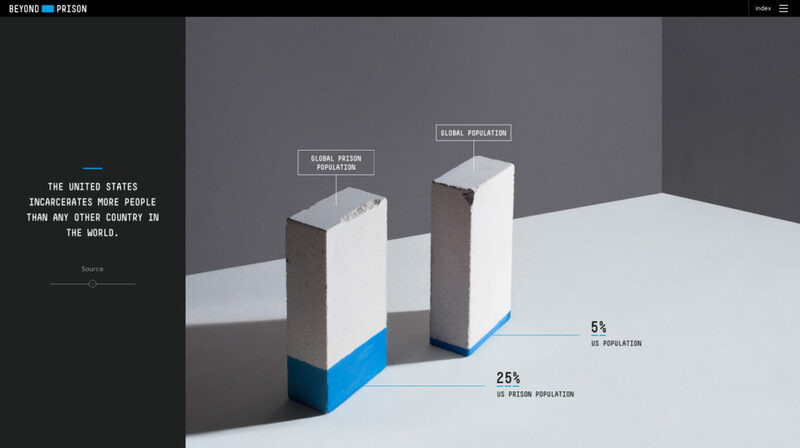 For the first infographic, standard visualization methods have been used in a different way: The bars of the diagram look like bricks and allude to the prison context of the statistic material. The animated type emphasizes the disproportionately high incarceration rate in the US in view of the countries relative share of the world population and in comparison to the global prison population. The second infographic does not only show that 1 in 35 adults in the United Stated is in prison, jail parole or supervised release, but also that the prison population is composed of people from all social ranks. 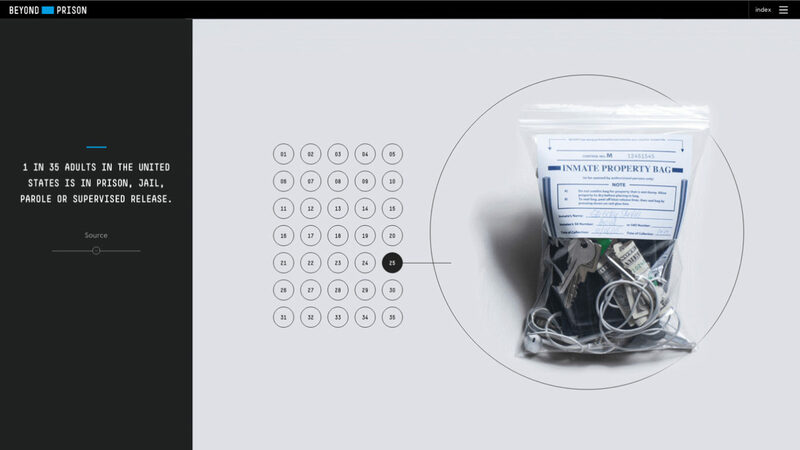 At the first glance, only an inmate property bag with the inmate’s personal belongings is visible, but when hovering over the numbers from 1 to 35 bags of different price categories show up to symbolize the social diversity among inmates. Though this infographic is designed in a playful way to give the readers possibility to explore and keep them engaged, it raises awareness about the seriousness of the issue at the same time. 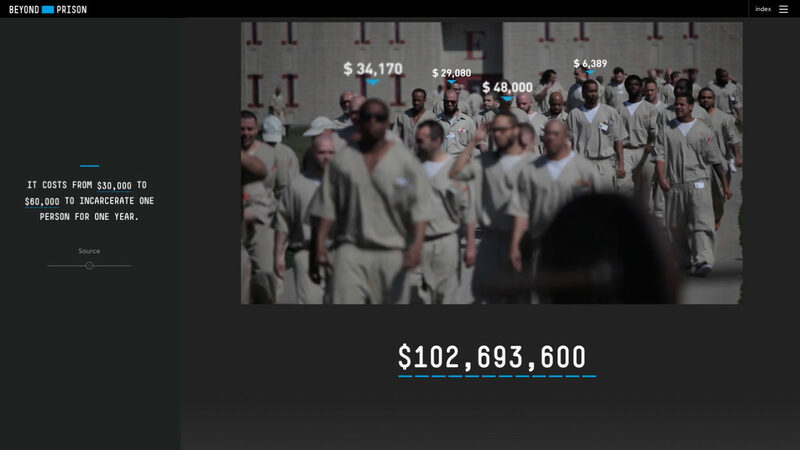 The third infographic is a short video sequence that directly links incarceration costs to individuals. Putting a money counter over the head of a real person causes a certain hardness to show the contrast between human beings and money and to appeal to humanity within the prison system. 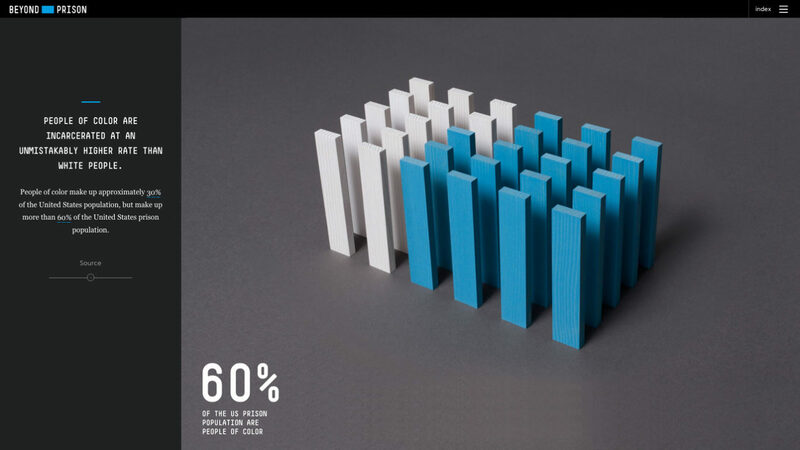 The fourth infographic the colors white and blue have been used to symbolize the difference between free citizens and their not seldom white office wear on the one hand and incarcerated people typically wearing blue-colored jail clothes on the other hand. 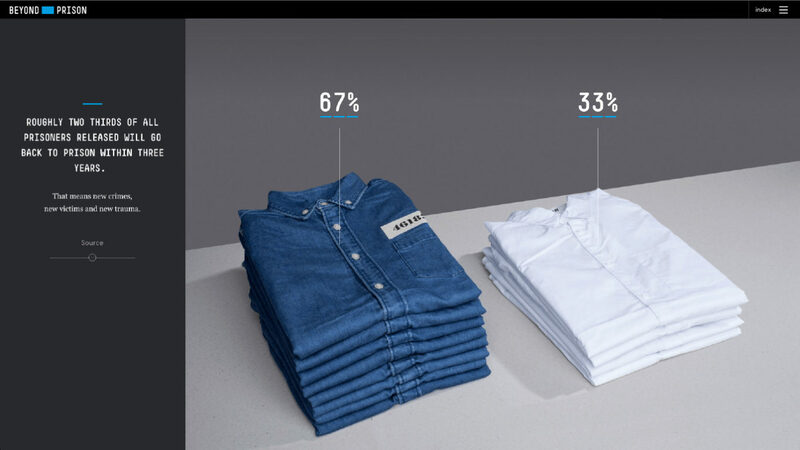 To visualize that roughly two-thirds of all prisoners released will go back to prison within three years, the piles of shirts have ben animated. The fifth infographic shows that people of color are incarcerated at an unmistakably higher rate than white people. Here, two challenges had to be mastered at once: Firstly, to display two different figures in one infographic and, secondly, to display this rather sensitive statistical material in a way that does not arouse any feeling of discrimination. The discreet use of colors and the animation of the bars representing incarcerated people enabled Studio AIRPORT to resolve these problems.